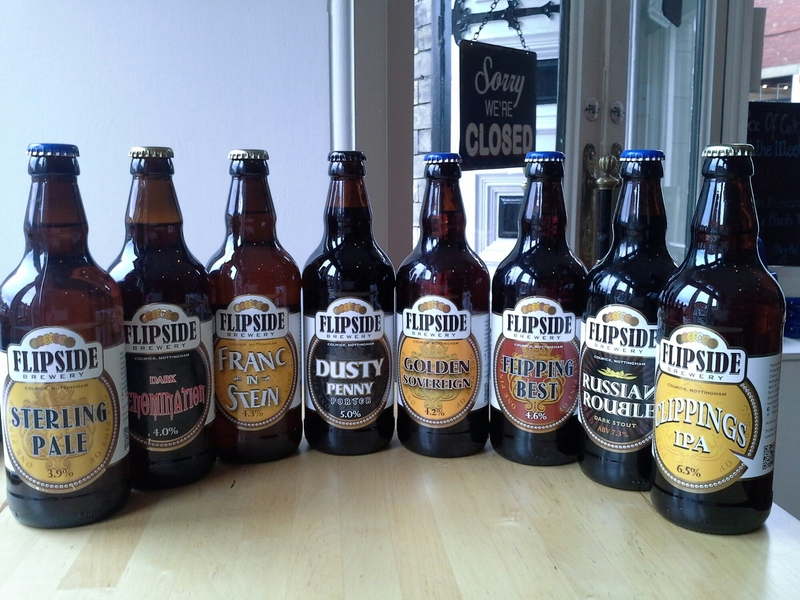 Flipside Brewery are based in Colwick, Nottingham and started brewing in May 2010, they have since then gone from strength to strength. Dave, Maggie & son Luke have already many SIba awards under their belt. Below is a listing of the ales that we currently have bottled (all bottled conditioned) but we are expecting more next week, we’ll keep these new ones a surprise for now. ■ Clippings IPA – 6.5% Traditional IPA with crushed gooseberry and bitter white wine hop. ■ Russian Rouble – 7.3% – Dark Stout with rich chocolate and malt. Very popular with Barleyhops customers, do you dare ? ■ Dark Denomination – 4.0% – Chocolate and caramel malt flavours combined with blackcurrant hop flavours to produce this well rounded beer. ■ Golden Sovereign – 4.2% – Golden session ale, bitter with dry biscuit flavour, citrus & grapefruit in the finish. Paul and my favourites from Flipside are currently : Flipping Best and Clippings IPA.